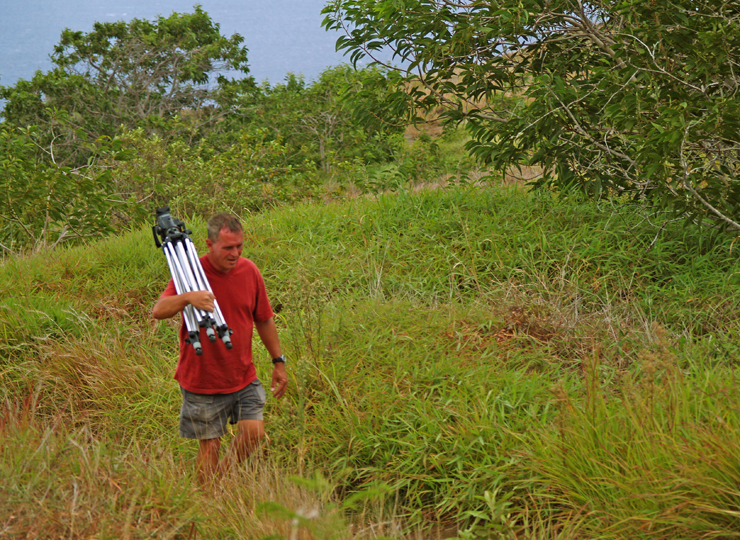 At 2.2 mile down Chain of Craters Road is the turn off to the Hilina Pali Road. 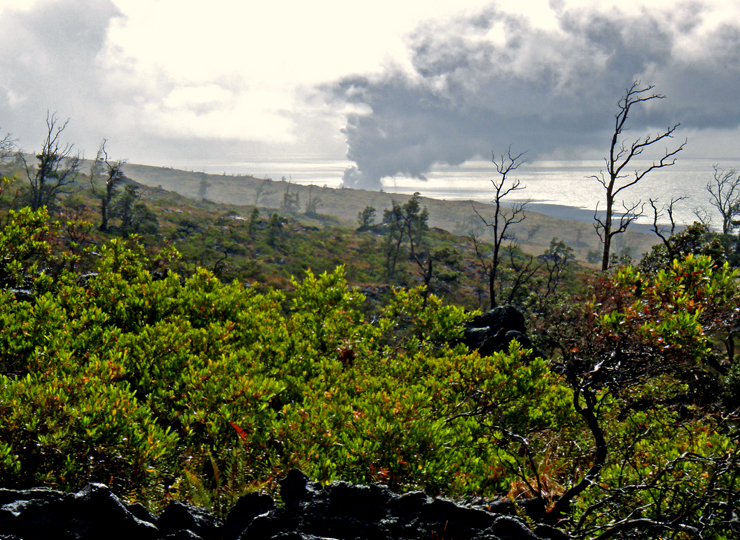 This road is 9 miles of some of the most spectacular, lonely and striking scenery in Hawai’i Volcanoes National Park. Be especially careful when driving this road, it is mostly only one lane and there are more people enjoying this trip through the backcountry than you might think. 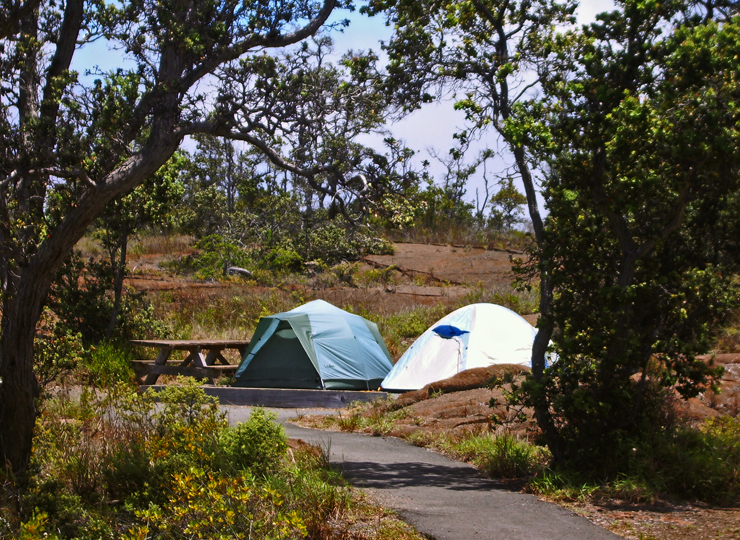 About halfway to Hilina Pali Overlook is the Kulanaokuaiki Campground. Set amongst rifts, collapse features and flows, this desert campground is secluded and spectacular. Rarely utilized, it is a great place to camp while exploring the park. Pit toilets and an emergency phone are available, but there is no water at Kulanaokuaiki Campground. 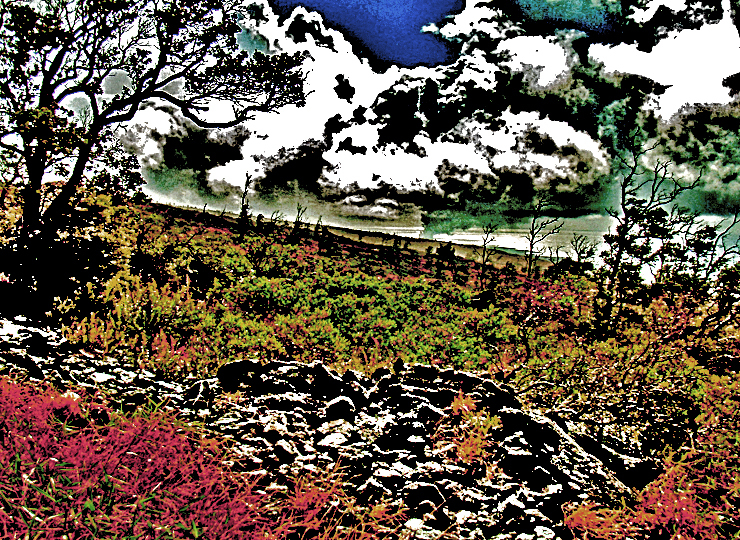 Driving further across the broad lava flows, past panoramic vistas of Mauna Loa, along the spectacular drop-off of the Hilina Pali (literally “cliff of faith”), one comes to the Hilina Pali Overlook, a great place for a picnic or short hike. 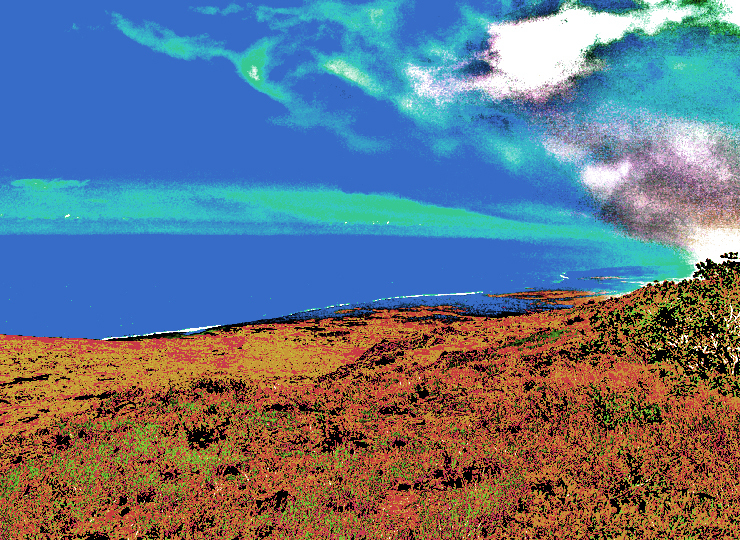 Connecting with several longer trails across the Ka’u Desert, Kilauea Crater, or down the Pali to such abandoned coastal villages as Halape and Keauhou, the Hilina Pali Overlook is the central cross-roads of back-packing trails which crisscross the park. 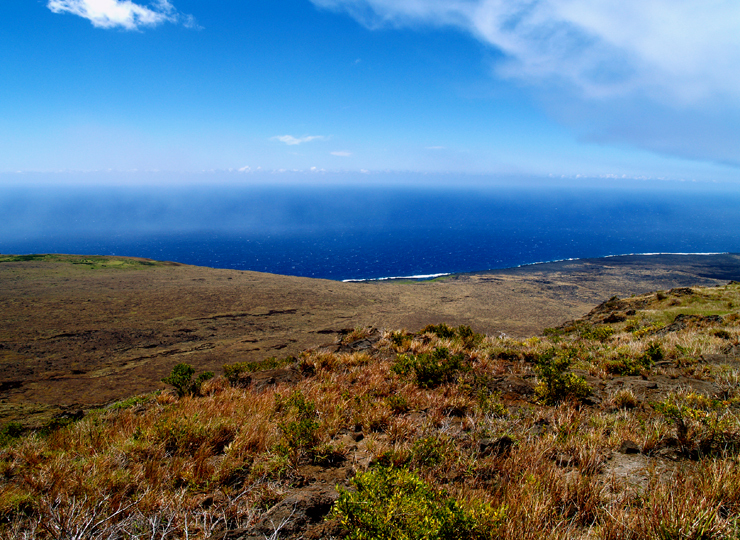 Hilina Pali Road, due to its remoteness and lack of traffic, is a great place for a mountain bike ride, birding, or just getting away from crowds and tour busses. There are magnificent views, heart-stopping sunsets and pit toilets at the Campground and Overlook, but no water or other services are available. 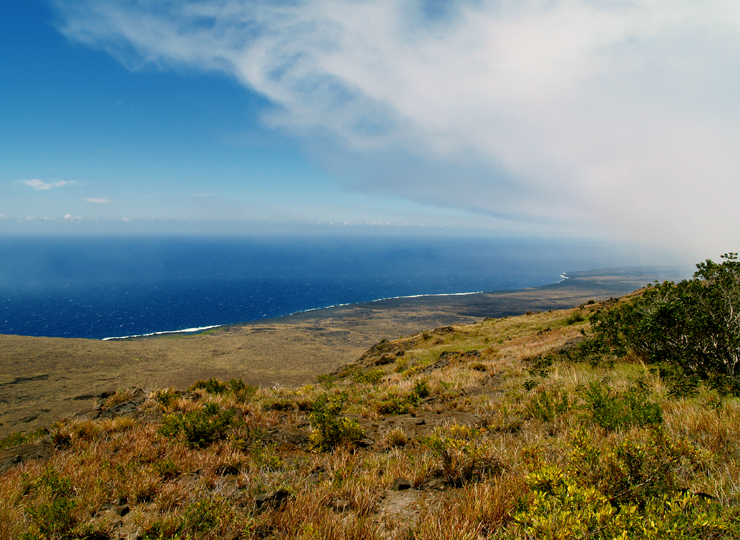 Hilina Pali is a nesting place for the endangered Nene, the Hawai’i State bird, which is related to the Canada Goose. Hilina Pali Road may be closed during Nene nesting season. Less than 1/10 of a mile from Hilina Pali road is the unmarked Devil’s Throat collapse crater…an excitingly vertically-sided pit that is worth the visit just for the “okole squeezing” peering down the throat will give you.